The global B1G1 community is made up of wonderful people who all share the same purpose: Business for Good. B1G1 events are not your typical industry expo’s and the B1G1x, Northern Hemisphere Conference was no exception. 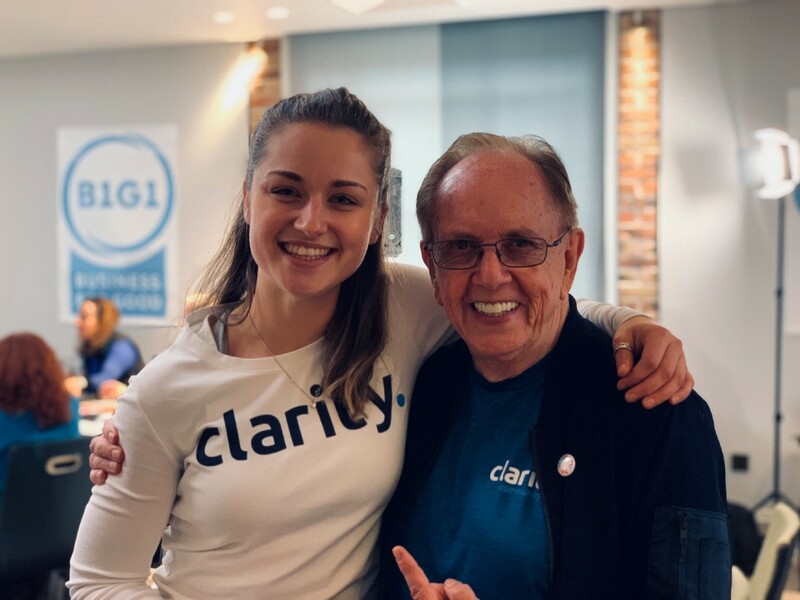 #TeamClarity were left reeling after B1G1x last week, empowered and determined to create a better business, a better life and a better world for our #Clariteers and all those connected. Aynsley (CEO) and Steve (COO) have both been key contributors and ambassadors of the B1G1 global giving initiative through their previous businesses and individually for many years. Despite this, learning about the causes and people that the community supports is always a powerful eye-opener. Nicki Mih of Free To Shine Cambodia, started off day one with a number of humbling stories and reality checks for the B1G1x delegates. It is so important for us all to see the positive impact that the B1G1 community in particular is having on the girls in Cambodia. 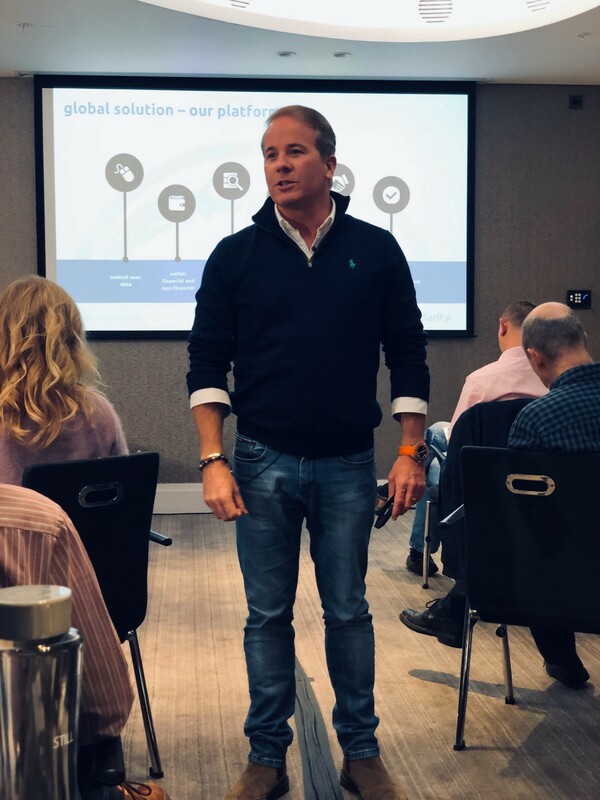 Day one was full of fantastic speakers, including our very own Aynsley who shared his thoughts on how to ‘Bring Your Team With You’ in business. 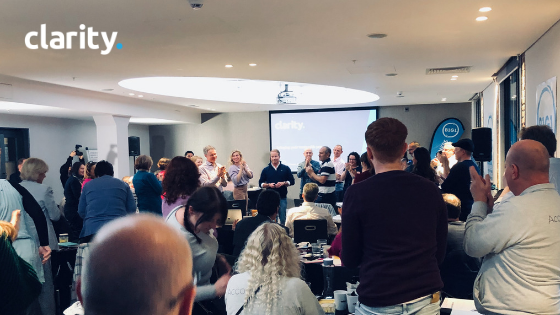 Centred around making sure the directors are leading from the front, Aynsley’s talk neatly incorporated many themes from previous talks in the day about conscious leadership. In particular, by ensuring your team is onboard with your companies culture and core values, we get one step closer to achieving the Global Goals objective to irreversibly eradicate poverty by using business as a force for good. The key message from the first day of B1G1X was that any business can change the world by making small, continuous, habitual impacts. And as we are living through the fast-changing digital age, there are no excuses not to embed and automate giving back into business processes or systems. As Paul McGivillary pointed out in his talk; love, joy, compassion and life cannot be automated. But, we must use technology to enable and enhance our generosity, rather than worry that it is going to replace us.